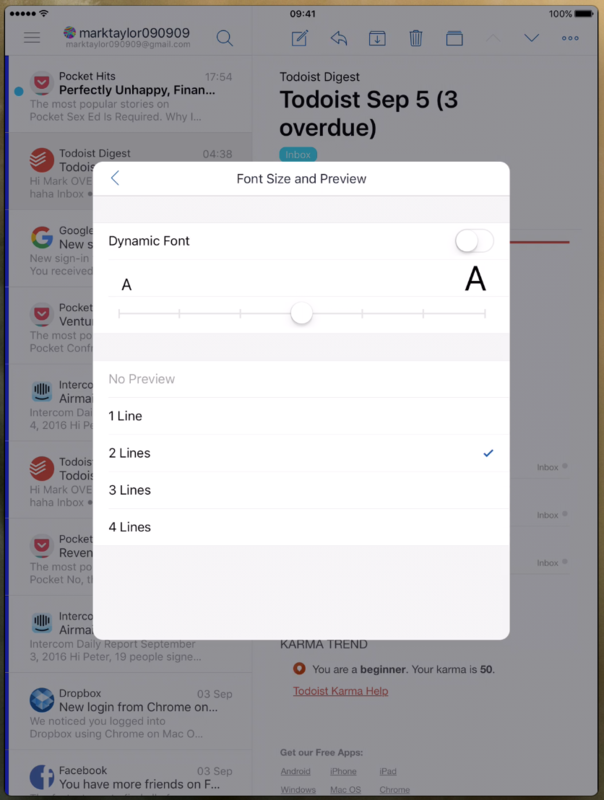 Airmail now allows you to set default and customizable font sizes (Dynamic Fonts) and you can also customize the number of preview lines you want to see in the message list. 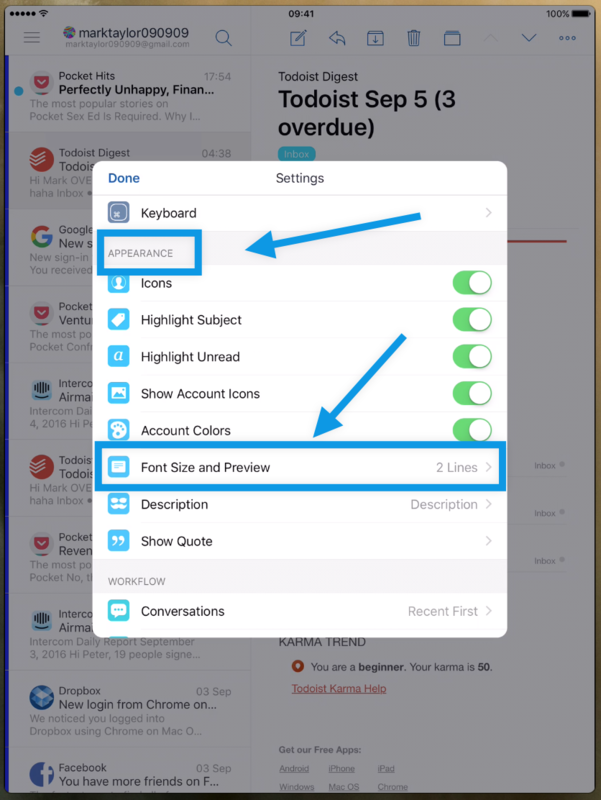 To access this feature, please go to Airmail > Settings as shown in the picture below. Then go to &apos;Appearance Section of the Settings > Font Size and preview&apos; as shown in the picture below. You will find the following window when you enter this setting. 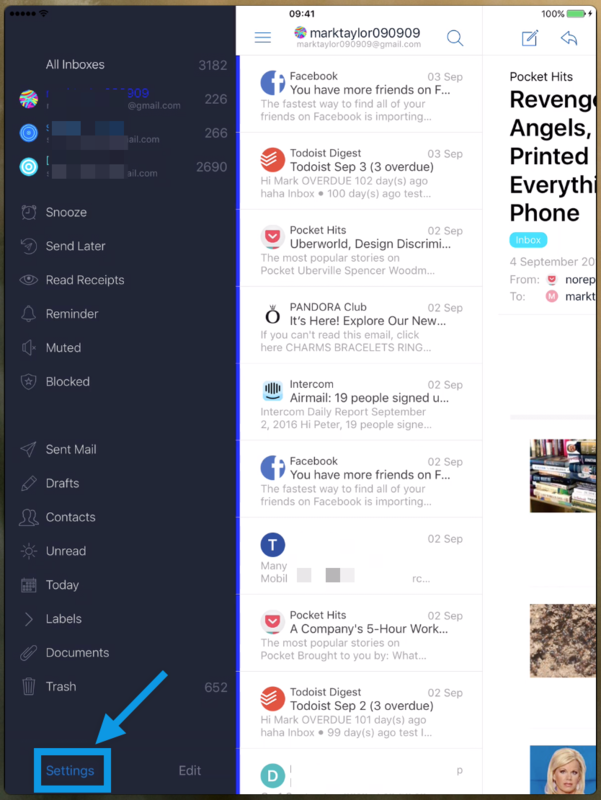 Choose your settings as you want them and Airmail will save them for you.